Contact me with your EDD (estimated due date) and birth location, as well as your neighborhood. I'll let you know if I'm available, and will direct you to review these FAQs if you haven't already. We'll go over any questions via email or by setting up a phone time, and then I'll direct you to fill out an agreement/intake form on my website. You'll select the services you'd like, as well as provide your contact info and some health information. If you are giving birth in a hospital or birthing center, your placenta will be inspected by your care provider before releasing it to you, and you will likely sign a release form. A nurse will bag it up for you, and then you'll have it placed in your cooler that you have brought with you to the hospital. Within 4 hours after birth, your placenta will need to get to a refrigerator (it's no different than buying meat at the grocery store.) Usually the placenta transport task is assigned to a family member or friend who has offered to help, or in some cases, the birth partner may run the placenta home after birth and then return to the hospital. You or someone on your birth team will notify me when your baby has been born, and we'll arrange a time within the next 48 hours for me to pick up your placenta from wherever it's being stored in the fridge. Once I pick up your placenta, I will process it according to your request and will deliver the finished services to you within 2-3 days in most cases. I'll text you when it's completed, and we'll set up a convenient time for me to drop off the capsules and do a short visit with you to answer any questions, see how your birth recovery is going, and provide you with any postpartum resources you might need. Then you can begin enjoying the lovely benefits of your capsules! In a study, conducted by Daniel Benyshek, a UNLV medical anthropologist, and Sharon Young, a doctoral student of anthropology, women who consumed their placentas after birth were surveyed. The results were published online Feb. 27, 2013 in the Journal Ecology, Food and Nutrition. The women who were surveyed were asked about their experience consuming their placenta, and it was found that 76% of the women had very positive experiences, 20% had positive experiences, and 4% had slightly positive experiences. The top three reported positive effects were improved mood, increased energy, and improved lactation. Placenta ingestion by non-human mammals has been shown to increase mother-infant interactions and increase the likelihood of maternal behaviors. A study found that new mothers have very low levels of a stress-fighting hormone called CRH, which may contribute to the baby blues. Since 60-80% of women say they experience baby blues, that’s a big deal. Consuming placenta pills, according to many women, can help to prevent or ward off the baby blues. A 1954 study showed that dried placenta increased milk supply in nursing mothers. Another study, although conducted on rats, shows that consuming placenta activates pain suppression mechanisms in the postpartum body. Research also shows that iron deficiency is a big deal in postpartum recovery. Postpartum depression and stress may be related to low iron levels, and it has been shown in a study that this type of depression and stress respond to iron supplementation therapy. Placentas contain iron. What is the difference between the Raw Start Preparation Method and the Traditional Preparation Method? Please see What is Placenta Encapsulation? Which preparation method should I choose? I almost always recommend the Traditional Preparation over the Raw Start Preparation, but the choice is of course yours. I lean towards this method because it's based on a preparation style that's been around for centuries. The Traditional Method is considered the safest way to prepare a placenta for ingestion because it includes steaming, which can eliminate harmful bacteria and may make nutrients and hormones in the placenta more biochemically available. It is said by some that the Raw Start Method provides a more powerful, but shorter burst of healing energy, which may not necessarily the best thing for a postpartum mother; it could give her a false sense of recovery and cause her to overexert herself. We currently do not have any research to prove either of these theories, so this information is purely anecdotal. Choose your preparation method at your own discretion. If you are unable to decide, you can opt to have half prepared by the Traditional Method, and half prepared by the Raw Start Method. How long does the encapsulation process take? The process takes about two days. On the first day I prepare and dehydrate the placenta, and on the second day I grind it to a powder and encapsulate. A great deal of time is also put towards cleaning the workspace before, during, and after both of those days of preparations. I take sanitation very seriously and prepare each placenta with the utmost care and respect. I also only process one placenta at a time so that there is no risk for a mix-up. How should I store my placenta? Hospitals generally place the placenta in a food grade plastic tub, and then place that in a paper or plastic bag. Sometimes the placenta is placed in a biohazard ziplock bag. You should bring a cooler and two large ziplock bags with you to the hospital or birthing center, as this is required by many hospitals if you are planning to take your placenta home. 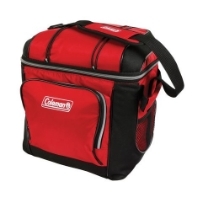 The cooler can be a soft lunch bag cooler, so you can fold it up and pack it into your hospital bag, and the cooler should be large enough to fit about a tub that would hold about a 1/2 gallon of ice cream. The placenta should be double bagged and stored in your cooler with ice packs for up to 4 hours after birth, but after that it should go in the fridge. Someone, such as a friend or family member, will need to transport your placenta in the cooler to your home and place it in the fridge. I will coordinate with you to come pick it up within 24-48 hours. For home births, the placenta can be placed either in a clean quart-sized yogurt container, or double bagged in quart-sized ziplock bags and placed in the refrigerator until pick up. Birthing Centers often allow women to keep their placenta in the refrigerator until they leave, whereas hospitals do not - but please inquire at your birthing location as policies change regularly and I cannot be held responsible for knowing policy changes. How can I be sure I am getting my placenta in the capsules? I only process one placenta at a time, so there is no chance for a mix up. Once a placenta comes into my possession, I make sure it is labeled with your name and date, if your hospital or care provider has not already done this. Your placenta is then stored in my placenta-only dedicated refrigerator until ready for processing, which I always do as soon as possible! What does the research say about consuming placenta? Please see Articles and Research. How and when do I pay for placenta services? I do not accept payment before processing your placenta. When I deliver the services to you, the full fee will be due. At that time, you may pay either by cash or check, PayPal, Square Cash, Venmo, or Chase Quick Pay. Then you get to enjoy all the wonderful benefits of your incredible (and edible) placenta! How and when should I contact you? You can contact me with any questions via email at AbbyDoulaNYC@gmail.com. When your baby has been born, you can contact me by email to let me know, or you may call/text between the hours of 9am-9pm at 917.239.5149. Sometimes clients like to let me know when they are on their way to the hospital, or when they have checked in - I love those notifications, although they are not required. The main thing is that you let me know that the baby has been born within a couple of hours after birth. A delay or failure to notify me in a timely manner can result in the delay or inability to process your placenta, and/or decreased benefits from the encapsulation services. Will the hospital let me take my placenta? The law in NY states that you do have the right to take your placenta home from the hospital. It is completely legal. (Remember, your placenta is your own organ.) “NYS regulated hospitals and medical facilities may, at the request of a patient or patient's representative, return a healthy placenta for disposition by the patient without violating any NYS public health law or regulation.” Excerpted from the Durfee US Placenta Laws Database. (Web.) However, if your care provider has any concerns about the health or condition of your placenta, it might not be possible to get your placenta released for encapsulation. Most hospitals require that your placenta leave in a cooler, and within 4 hours of the birth. I have a Cesarean or an Epidural? Yes. I am Group B Strep Positive? Yes, using the traditional prep method to be sure that the bacteria is eliminated. However, I recommend discussing with your doctor to get clearance. I do cord blood banking? Yes. I practice delayed clamping of the umbilical cord? Yes. I am on medication? Most likely; but please consult with your care provider first. My placenta goes to the pathology lab at the hospital? Maybe; it depends on whether it’s the hospital protocol or if it’s for testing. If your placenta is being tested in pathology, I cannot encapsulate it for you. My placenta is frozen? Yes, as long as it's been less than 6 months. I have twins or more? Yes. My baby is premature? Yes. Please note that it is your responsibility to get clearance from your care provider on your placenta if you are choosing to encapsulate. Under what circumstances would it be unsafe to consume my placenta? If you develop a fever during labor and it has been determined that the cause of your fever is from an infection. Improper storage (spoilage) of your placenta after birth. If your medical provider deems it unsafe for any reason. How much and how often will I take my capsules? The typical dosage suggestion is to take 1 – 3 capsules, 3 times a day for two weeks, and then 1 capsule 3 times a day until your supply runs out. Most placentas yield 75 – 150 capsules, depending on the method(s) of preparation and the volume of the placenta. The dosage can be lowered or increased based on the mother’s preferences. There is no research that has determined what an effective dose should be. Can I DIY my placenta? Yes, you can. Although there is not one particular source I recommend, you can Google DIY placenta encapsulation and find a number of tutorials. I really don’t recommend new mothers doing this themselves postpartum, as it requires a great deal of time and energy spent on your feet. If you enlist a friend or family member, be sure they educate themselves well on safety and sanitation procedures. Hiring a qualified placenta specialist is a great gift to yourself and to your family to support your healing during this very special bonding time with your new baby. Why should I choose you over other placenta service providers? I have been professionally encapsulating placentas since 2013, and have processed over 75 placentas and counting since then. The first placenta I encapsulated (with the help of my birth team and my husband) was from the birth of my first son in 2010! I can speak firsthand to experiencing incredible benefits from placenta encapsulation. This is what inspired me to do this work. I am currently OSHA certified in Blood Born Pathogens and re-certify each year. After years of researching and waiting for a reputable training program, I studied through The Association of Placenta Preparation Arts (APPA) and am the first APPA certified Placenta Encapsulation Specialist in NYC. Most training programs I found consisted of 2-day workshops, which I felt was insufficient. APPA is an incredibly comprehensive program, is research-based, includes professional mentoring, and takes several months to complete. I am a local Brooklyn of mama of two kids, and encapsulate placentas along with having my own birth doula practice. I will prepare your placenta with the utmost care and respect, and will provide a lovely folder of postpartum handouts after you receive your placenta capsules! If I am delivering the capsules to you, I am also happy to sit down with you and check in on breastfeeding, your health, and answer any newborn or postpartum care questions. 1. I’m worried it will taste and smell awful. Studies in rats have shown that when given the choice to consume ground beef, liver, or a donor placenta, immediately postpartum, they always choose the placenta. Many women have reported saying that the idea of consuming their placenta seemed unappealing until immediately after birth. Then it suddenly seemed appealing and logical after giving birth. There may be a hormone change that causes the woman to desire consuming her placenta, and not to view it as gross. Taking a placenta capsule is very much like taking any kind of vitamin supplement; it involves swallowing a capsule. Some people are more sensitive than others to smell. Some placentas, when encapsulated, have a fishy scent, which may be from the condensed minerals. If this happens, taking the capsule with a bit of food or juice can help. Vegetarianism and veganism are usually applied to abstaining from consuming animal products from another animal. I have encapsulated placentas for several vegans and vegetarians who had no qualms about consuming their placenta capsules, and did not feel that it conflicted with their beliefs. Of course, if you feel placenta encapsulation goes against your dietary/spiritual/health/etc. beliefs, then it’s not the right choice for you. If you are vegetarian or vegan, please let me know so that I can be sure to use vegetarian gel capsules. 3. There’s not enough research to support placenta encapsulation. The research we do have shows some interesting information. See Research & Articles. No; cannibalism is defined as eating the flesh of another animal of the same species. When you consume placenta, it is recommended you consume your own placenta. However, placenta (some human, some animal) has been used in treatments, concoctions, healing, and skin care for many years. It has been particularly popular in skin care in Europe. Most mammals, when experiencing undisturbed birth, eat their own placentas after birth, although the reasons are unknown. Indeed, there is not a long history of human species doing so, and the jury is out on why. Decide for yourself! Benyshek, Daniel. "Human Maternal Placentophagy: A Survey of Self-Reported Motivations and Experiences Associated with Placenta Consumption." Ecology of Food and Nutrition 52.2 (2013): 93-115. Taylor and Francis Online. 27 Feb. 2103. Web. University of Buffalo. News Releases. Study Asks If We Could Derive Benefits from Ingesting Placenta. University of Buffalo. N.p., 27 Mar. 2012. Web. 1 Nov. 2014. "Baby Blues - Postpartum Depression Attributed to Low Levels of Corticotropin-releasing Hormone after Placenta Is Gone." BNET.com. Discover, Dec. 1995. Web. 1 Nov. 2014. Soykova-Pachnerova, Eva. "Placenta as a Lactagon." First Obstetric Clinic, Charles University, Prague, 1954. Web. 7 Dec. 2006. Kristal, Mark B., and Jean M. DiParro. "Placenta Ingestion by Rats Enhances Y- and N-opioid Antinociception, but Suppresses A-opioid Antinociception." Brain Research 1014 (2004): 22-33. www.ScienceDirect.com. Behavioral Neuroscience Program, Department of Psychology, University at Buffalo, Buffalo, 28 May 2004. Web. Beard, John L. Maternal Iron Deficiency Anemia Affects Postpartum Emotions and Cognition 135 (2005): 267-72. Journal of Nutrition. American Society for Nutritional Sciences. Web. 21 May 2008. McCoy, Bonnie A. "Iron Content of Intact Placentas and Cords." The American Journal of Clinical Nutrition 9 (1961): 613-15. Www.ajcn.com. 27 Jan. 2008. Web. Kristal, Mark B. "Placentophagia: A Biobehavioral Enigma." Review. Neuroscience & Biohehavioral Reviews 4 (1980): 141-50. Department of Psychology, State University of New York at Buffalo, Amherst, NY, 2 Feb. 1980. Web.